Training and reference - Praxis Automation Technology B.V.
Praxis Automation Technology offers training to its customers in order to provide complete understanding and detailed knowledge of the products. The in-house training room is equipped with workstations and consoles as installed aboard vessels. 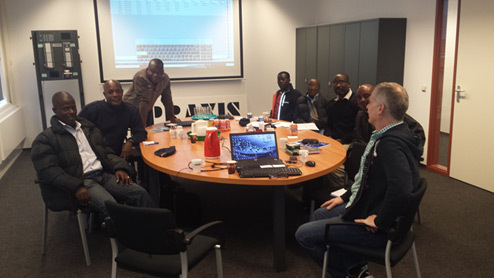 Upon customer’s request, Praxis offers training aboard vessels for their crew members. 50 years of experience and stability in shipbuilding industry. Praxis delivers more than 300 Mega-Guard ship systems each year. The results can be found in our reference list with over 4500 successfully installed systems on a wide range of vessels all over the world.